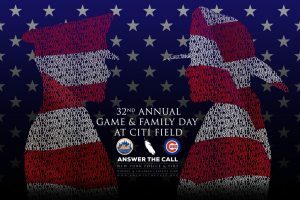 This year’s 2016 Annual Game and Family Day, which will took place on Thursday, June 30, 2016 at Citi Field. Our Annual Game and Family Day at Citi Field was started by Rusty Staub, former NY Mets player, and is our most cherished tradition because we’re able to provide a memorable and fun day for our beneficiary families. With your support, the Benefit Fund will be able to continue this tradition and provide another memorable day for the families of New York City Firefighters, Police Officers, Port Authority Police, and EMS workers who have been killed in the line of duty. This year we had 1000 family members attending the 32nd Annual Game and Family Day. 3 Click Photo Booth was so happy to donate our services to capture the photos for this event and this great cause and cant wait till next year to do it again. NY Police & Fire Widows’ & Children’s Benefit Fund, which is a nonprofit organization dedicated to helping the families of NYC Firefighters, Police Officers, Port Authority Officers, and EMS Workers killed in the line of duty. Last year alone the organization helped approximately 600 families and distributed over $3.5 million. The Benefit Fund provides special opportunities for these families to come together to cope and connect – one such opportunity is our Annual Game and Family Day at Met’s Citi Field. Here are some of the photo from the event..
Capturing lasting memories with 3 Click Green Screen Photo Booth Rental SI NY, New York City , Brooklyn, New Jersey, The best photo booth rental service in town. We cater for a wedding, Bar/Bat Mitzvah, corporate party, expo event, birthday party, fundraiser, Sweet 16, bridal showers,proms,graduations and themed parties. We’ll help you make awesome memories you will never forget.